EL AL Israel Airlines has officially launched a new fast, reliable commercial in-flight WiFi service, powered by global communications company Viasat. The airline is Viasat’s European launch customer, and since forging their alliance both companies have undertaken extensive market studies focused on in-flight WiFi passenger demand, engagement and service offerings to determine internet package types. EL AL also began to re-energise its fleet taking on new Boeing 787 Dreamliners – a recent addition to Viasat’s certified platforms. Fifteen EL AL aircraft have been fitted out with Viasat’s latest equipment, providing high-speed connectivity to EL AL’s mix of Boeing 787 Dreamliners, Boeing 737-900 aircraft and Boeing 737-800 planes. By mid-2020, EL AL expects to have the majority of its fleet connected with the Viasat service. Earlier this month, EL AL held its inaugural high-speed WiFi service flight, which flew from Tel Aviv to Paris on one of its new Dreamliner aircraft. There were 128 devices connected, with many streaming movies, videos, music and even the World Cup semi-final. More than half of the passengers were filming and streaming videos – some via Facebook Live, while others were capturing and uploading videos and pictures of their journey, which they posted to social media sites such as Facebook, Instagram and Twitter. Nimrod Borovitz, director, Strategy and Business Development at EL AL Israel Airlines, said: “Israeli passengers want to keep up-to-date and connected in real-time even when in the air. Viasat is one of the world leaders in satellite communications and a leading in-flight service provider. The company’s in-flight WiFi system offers passengers the highest-speed Ka-band connection, giving EL AL passengers the ability to stream more internet content – faster, as well as keep flight crews connected for enhanced passenger service. When flying on TransAtlantic routes, the system will connect to the ViaSat-2 satellite, which has the most Ka-band capacity over the Atlantic Ocean, giving passengers a high performing internet connection from across North America and the Atlantic Ocean to Europe. Specific to European flights, the Viasat service will connect to the KA-SAT satellite through its European joint venture with Eutelsat, which offers more capacity over Europe than any other communications satellite. 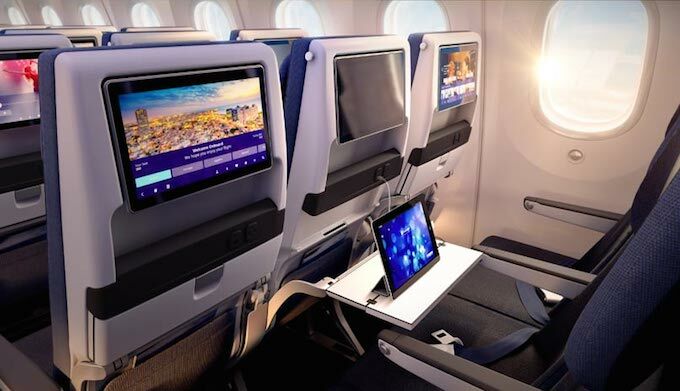 Don Buchman, vice president and general manager, Commercial Aviation at Viasat, said: “EL AL’s high-speed connected fleet continues to raise the bar in passenger engagement, pilot and crew service quality and airline technology innovation.